The world's oceans cover well over 70 per cent of the Earth. That means you miss out on a lot if you never take the plunge! The great oceans are home to some of the planets most fascinating creatures - and I feel privileged of being able to enter and visit their liquid world. There are great troubles though. Overharvesting of the ocean, pollution, garbage, oil spills, global warming to name a few - there are many threats to the underwater world, both locally and globally. As we learn more about the oceans and the species that lives there, it will be easier to know how to protect our seas. Too many marine species faces the danger of extinction, turtles, manta rays, whales, tuna, dugongs - the list is long. Some are finally getting protection from overfishing and loss of habitat by legislation, often as a result of increased public awareness and organizations fighting for their survival. When a marine species disappear from the ocean, the balance is stirred up - and the whole ecosystems get affected negatively. Free to hunt - why? But some species are still free to hunt, despite being critically endangered, and despite being an apex predator having a vital role in keeping the oceans alive. YES I am talking about sharks. Overfishing caused by the increasing demand for Shark fin soup in Asia, combined with loss of habitat and loss of other species - all posing great threats to the sharks of the world. Why do we let this happen? But do we NEED sharks? 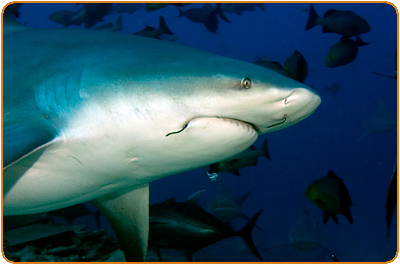 -Sharks, as apex predators, are vital to numerous marine ecosystems. Losses of shark populations worldwide have been tied to ecological and economic disasters. Human beings are better off with sharks than we are without them, they are in serious trouble, and we can and should help them, says marine biologist David Shiffman. If you want to know more about why sharks are so important to our oceans, read his summary on why sharks matter - and pass it on to everyone you know: Four things you need to know about sharks.